To me, there's nothing more useful or yummy than an awesome protein bar. 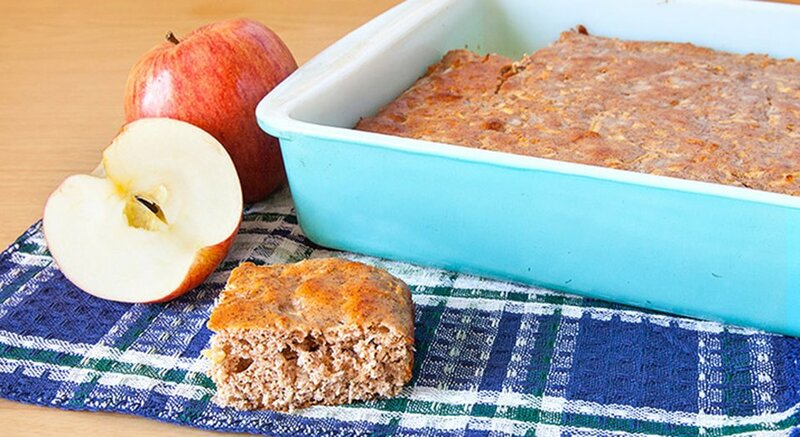 This one doesn't just taste great—it's also loaded with healthy ingredients, including almond meal, whey protein powder, cinnamon, egg whites and fat-free cottage cheese. Spray an 8x8 Pyrex dish with non-stick spray. Preheat oven to 350 degrees. In a large bowl, combine protein powder, almond meal, baking powder, salt, cinnamon, nutmeg and allspice. Whisk together and set aside. In a smaller bowl, combine egg whites, no-cal sweetener, cottage cheese and vanilla. Whisk until well incorporated and then add the wet ingredients to the dry and mix again. Fold in grated apple and mix until combined. Pour batter into the prepared dish and bake at 350 degrees for 25 minutes.